Actress Parineethi Chopra is all set to enter the Telugu Film Industry with Superstar Mahesh Babu’s new movie. This Telugu – Tamil bilingual will start rolling next month and Parineethi has already started preparing for the role. Being the perfectionist that she is, she has already started taking Telugu lessons! Apparently, Parineeti is taking these lessons to familiarise herself with the sounds and pronunciations of the Telugu language. This is a laudable move, as most actresses make zero effort to learn the language that gives them so much fame and money. 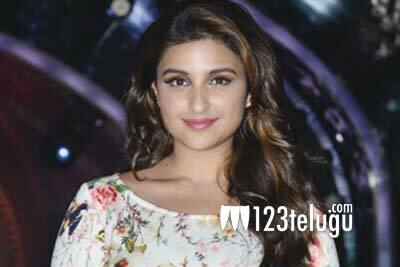 Parineeti has been paid a huge amount of money for this project and she is pretty excited about making her debut in two of the biggest film industries in India.